We are here to make sure your electrical installation job in Tampa, FL goes smoothly from start to finish. 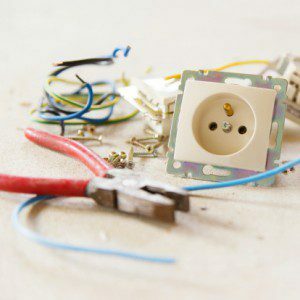 When you have an electrical installation project that needs to be done, you may not know who to turn to for help. In this situation, it’s a good idea to turn to us at 5 Star Electrical LLC. We serve both residential and commercial properties in the Tampa, Florida area and are here to make sure your electrical installation job goes smoothly from start to finish. Security System Installations—If you want to protect your home from security threats, we’ll make sure that your security system is wired correctly, so your home is never at risk. Sound System Installations—Figuring out how to wire your sound system correctly on your own can be a large task. We’ll get your new sound system wired and ready to go in hardly any time at all. Thermostat Installations—Even though thermostats are small devices, they need to be wired correctly in order to work right. If you have a commercial electrical installation project, we’ll need to talk with you beforehand about the project’s specific requirements and intricacies, but we’re confident that we’ll be able to tackle it with efficiency, professionalism, and affordability. 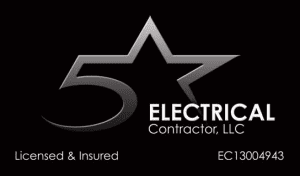 Get in touch with us at 5 Star Electrical LLC to find out more about the different electrical installation services we provide and how we can help you with your upcoming project.